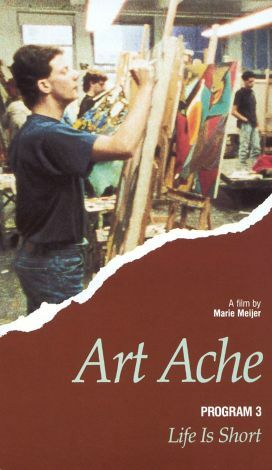 Produced by RM Arts and released in 1991 by Media for the Arts, this program is part of the three-volume Art Ache series which discusses the art world and the different issues that artists face in the changing modern world. This episode, Art Ache: Life Is Short, discusses the short attention span of audiences and the resulting short shelf life of new art. The artists interviewed include Tony Cragg, Jackie Winsor, David McDermott, and Peter McGough.